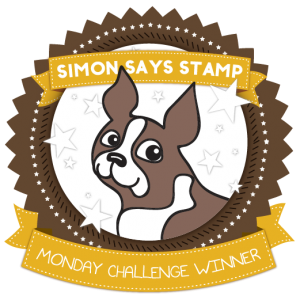 This card has been created for Simon Says Stamp Monday Challenge - Young At Heart. I started by wetting Reeves Acrylic paper and then applying colour from Inktense Blocks. 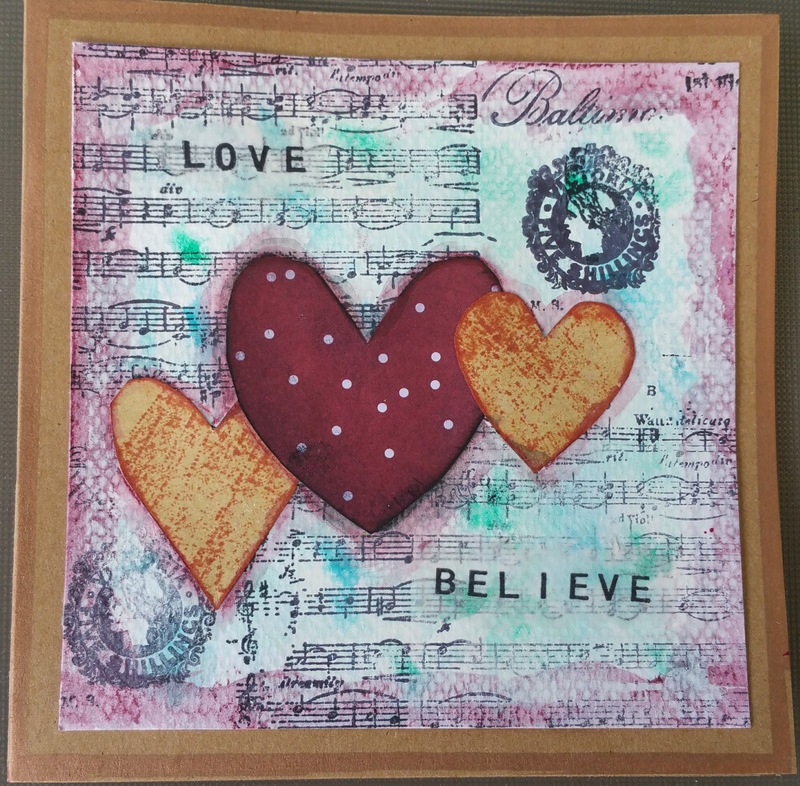 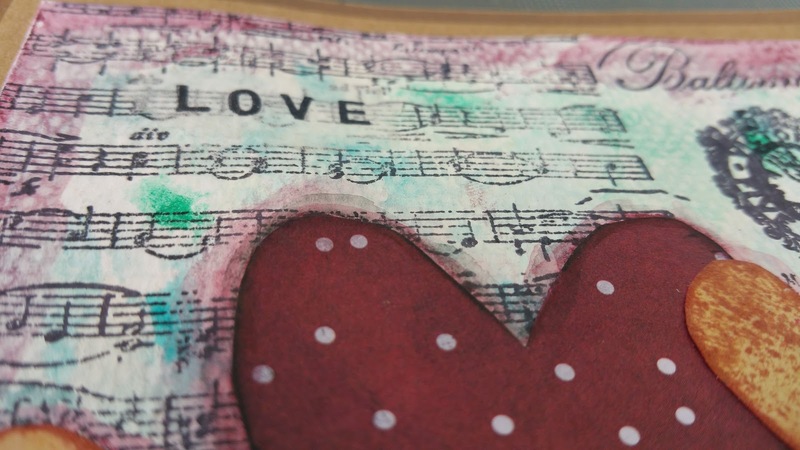 At this stage I really didn't like how it was turning out but with the addition of the stamping and the hearts, matching the border colour, it came together. 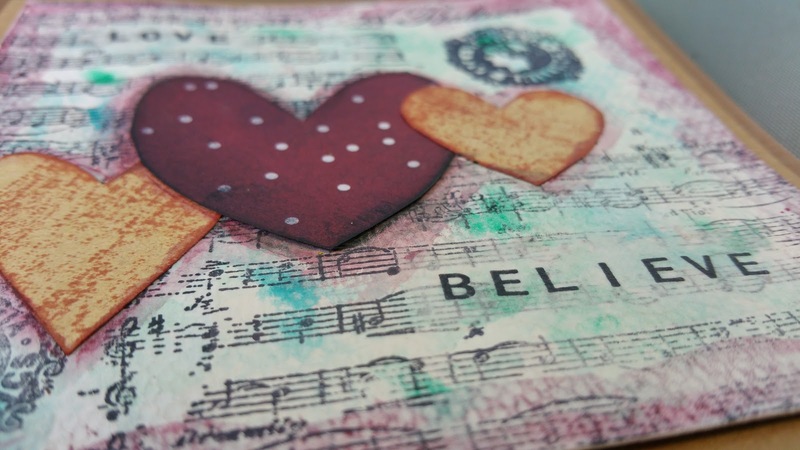 I edged the craft card base with bronze Sharpie and added the words - now I like it.